London’s occasional Mayor Alexander Boris de Pfeffel Johnson would, despite the bluster and deflection, very much like to replace Young Dave as leader of the Tory Party and then at some time in the future become Prime Minister. This is a truly frightening prospect, as more and more Londoners are beginning to realise: Bozza’s loyalty is less to those who elected him, and rather more to burnishing the image of Himself Personally Now. And part of that image burnishing process is to build on his otherwise pointless trip to the eastern part of Turkey, initially by telling readers of the Super Soaraway Currant Bun, via the good offices of its non-bullying political editor Tom Newton Dunn, that jihadis were engaged in the kind of behaviour that made Neville Thurlbeck famous. Yes, Bozza was quite sure that they were literally a bunch of wankers. On top of that, he was also keen to register his indignation that he had been called out by the deeply subversive Guardian, and it was here that his combination of zero research and shooting from the hip undid him. Here’s the relevant passage. However, and here we encounter a significantly sized however, Bozza was in need of the nearest fire extinguisher, as his pants were, not for the first time, well ablaze: those cited in the Guardian article were the Quilliam Foundation and Islamix, and neither of their spokespersons was a woman. One might have thought that Bozza would take this minor inconvenience on board. But that thought would have been misplaced. Indeed, not only has he ignored any criticism, he has also shamelessly recycled the passage for his latest “chicken feed” generating column for the Telegraph. You think I jest? Here is the more upmarket version from the Tel. 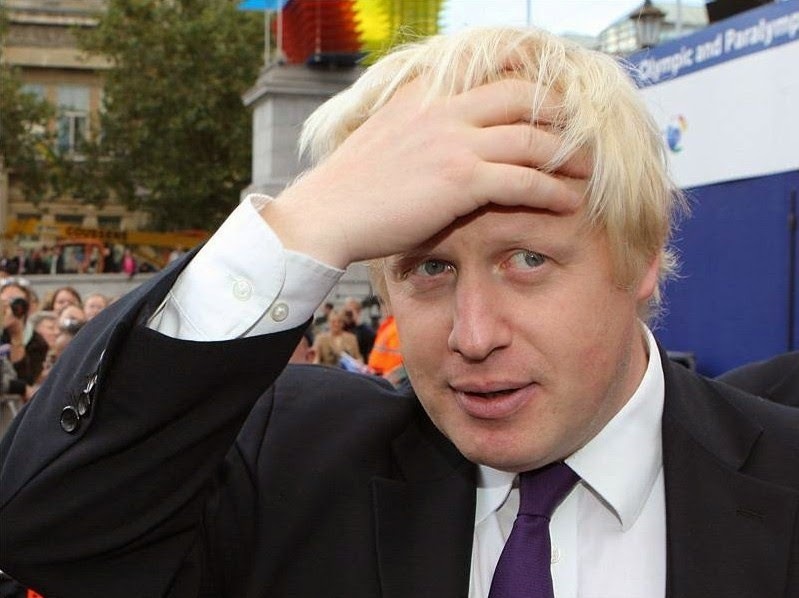 Now, the Independent has called Bozza out, and rightly so: “The source at the Muslim Council of Britain said they were not sure why Mr Johnson had attributed the comments to them … The only comment we made at the time was ‘We have not got sight of the MI5 report cited by Boris Johnson, so we cannot comment on his interpretation of its contents’, the MCB’s letter to the Daily Telegraph read”. Bozza’s trousers are once again on fire. And once again he has been allowed to get away with shamelessly lying merely to play the victim and kick the hated Guardian. That’s the kind of behaviour that is par for the Bozza course. Something to think about the next time he is held up as Prime Ministerial material.